Served each morning in our Hospitality Room. The breakfast includes 3 or 4 Hot Items each day including but not limited to Breakfast Sandwiches (bacon or sauge, egg & cheese on an English Muffin), Breakfast Burritos, Waffles, French Toast Sticks. Also included are Oatmeal, Hard Boiled Eggs, Fresh Fruit, Bagels, English muffins and a variety of pastries. 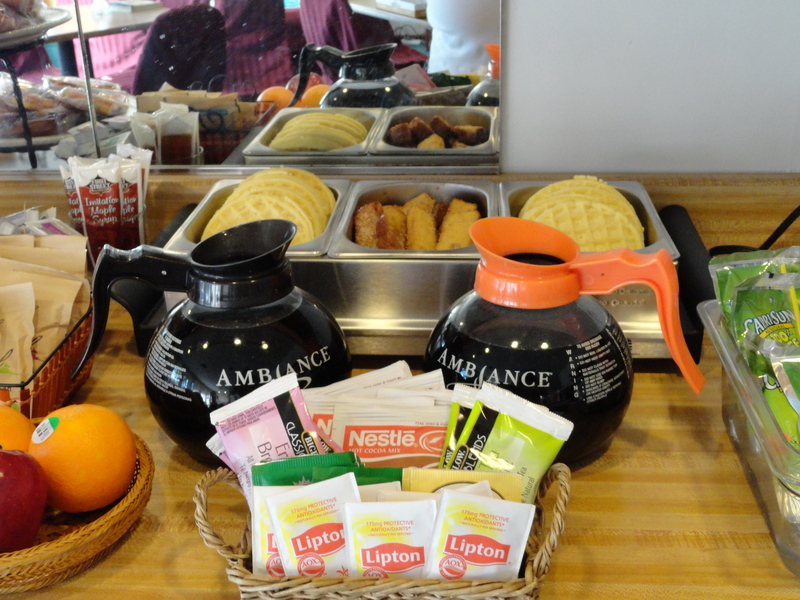 We also serve coffee, tea, hot chocolate, along with orange and apple juices. 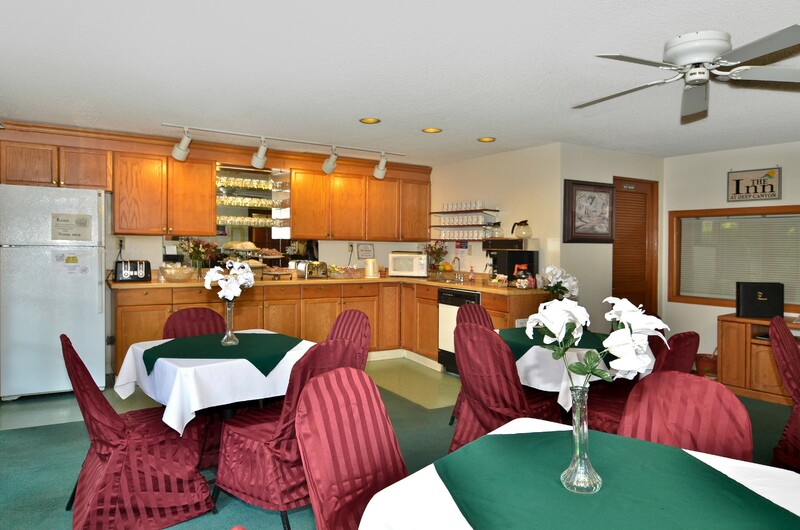 Come in for breakfast, visit with our other guests, read or just relax.